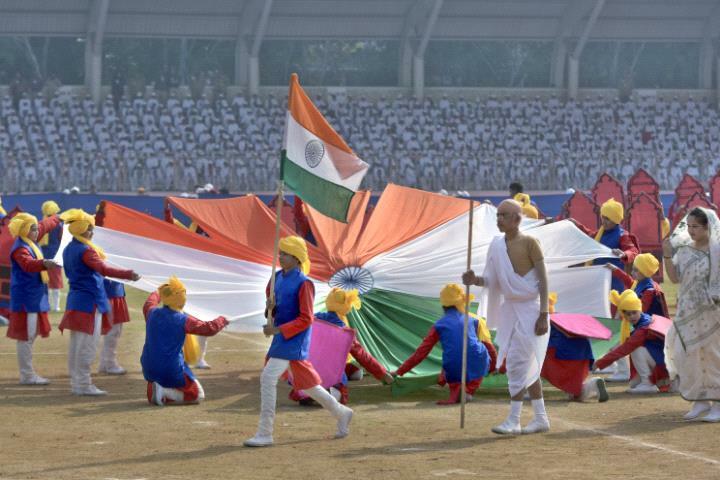 Parades have been taking place across India as the country celebrates its 70th Republic Day. It marks the day in 1950 when the Indian Constitution came into effect. The theme of this year's annual parade down the Rajpath in New Delhi was the 'life of Gandhi', in tribute to the father of the nation on the 150th anniversary of his birth. A number of India's leaders have taken to social media to extend their greetings on the occasion, including Prime Minister Narendra Modi, who sent out a message in both Hindi and English.